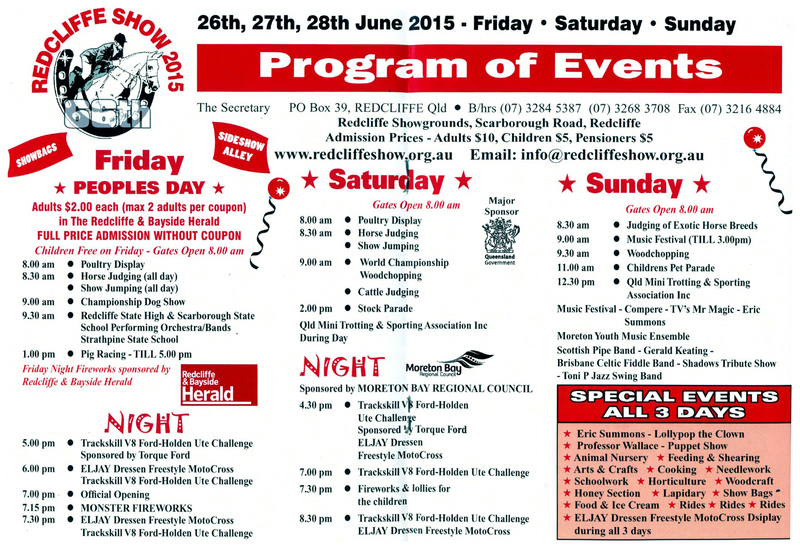 The Redcliffe Show Society was founded in 1949 and the first show was held in 1950. The show has grown to become one of the most successful in Queensland and local businesses, charities and service clubs benefit from the side-show sales. >> Click Here to read the full history of the Annual Redcliffe Show.